Kickball Society is all about having fun but it’s also about helping others. While we’re out there having a great time, others are going through difficult times and need a helping hand. Our current charity is Hashtag Lunchbag Tampa Bay. During the league season, Kickball Society members will have opportunities to support our charity through fund drives and other social activities after our kickball games at our sponsor locations. 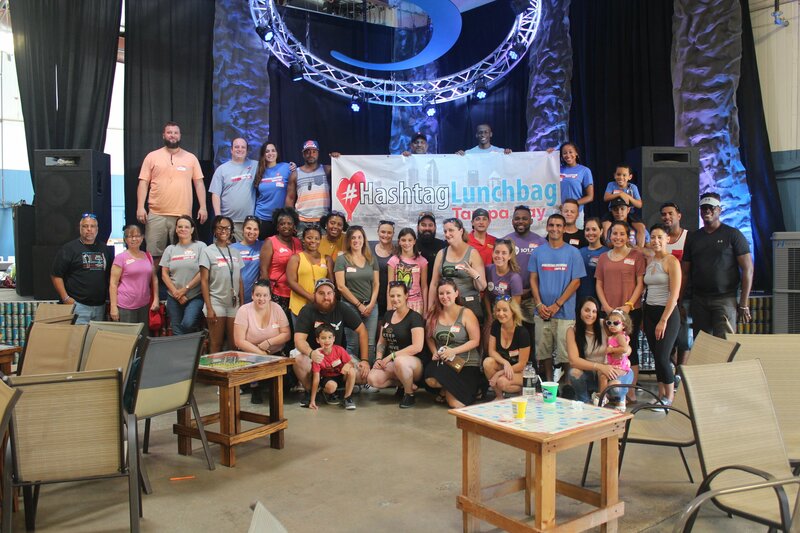 Hashtag Lunchbag Tampa Bay are a group of locals who joined the #HashtagLunchbag movement to feed those in need in our local community. Once a month our amazing volunteers get together to assemble & distribute lunches to those in need in the Tampa Bay Area! In the past we have sponsored The Spring of Tampa Bay, The Spring provides safety for women and children who are threatened by a spouse or partner, and is often the difference between life and death. While clients are primarily women, men also find themselves in threatening situations and The Spring provides a safe place for anyone whose life is in danger as a result of domestic violence. Charities nationwide have been negatively impacted by the economic recession and The Spring is no exception. This comes at a time when increased stress and uncertainty has driven domestic violence incidents to a much higher level.